Bond JE, Hendrixson BE (2005) Ctenizidae. In: Spiders of North America: An Identification Manual (eds. Ubick D, Paquin P, Cushing P, Roth V), pp. 43-44. American Arachnological Society. Dippenaar-Schoeman AS (2002) Baboon and Trapdoor Spiders of Southern Africa: An Identification Manual Agricultural Research Council, Pretoria, South Africa. 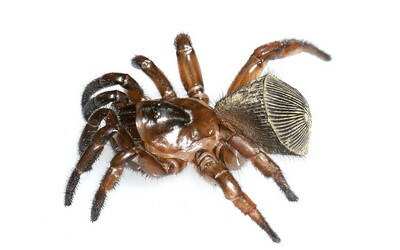 Gertsch WJ, Platnick NI (1975) A revision of the trapdoor spider genus Cyclocosmia (Araneae, Ctenizidae). American Museum Novitates 2580, 1-20. 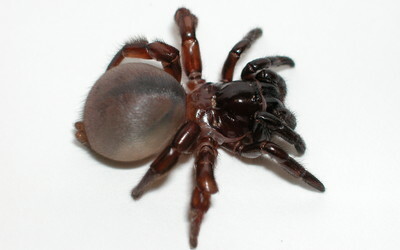 Hendrixson BE, Bond JE (2004) A new species of Stasimopus from the Eastern Cape Province of South Africa (Araneae, Mygalomorphae, Ctenizidae), with notes on its natural history. Zootaxa, 1-14. Raven RJ (1985) The spider infraorder Mygalomorphae (Araneae): cladistics and systematics. Bulletin of the American Museum of Natural History 182, 1-175.